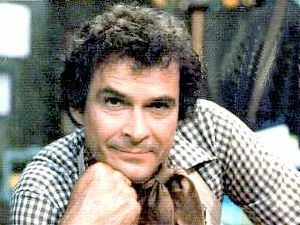 Hi — I'm Denis Spanek, a happy Kitchen Dude™ and lifetime Ambassador To The World on behalf of my family's original invention, the Spanek Vertical Roaster, and all of our culinary innovations. I want to make you welcome here as you browse through our World Wide Web site. There are plenty of fun and exciting areas and links here for the Vertical Chef. You'll find suggestions of how to "Go Vertical!" 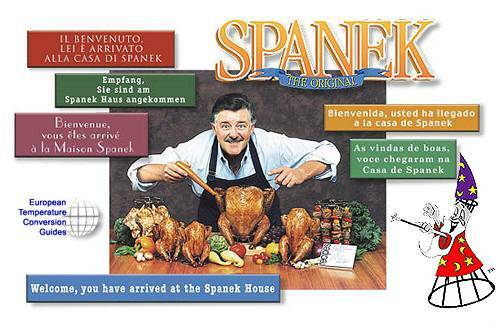 for all seasons, as well as recipes, seasonings, product information, tips and tricks and many other jewels of thought from the Spanek kitchen! After all . . . we are the original inventors! 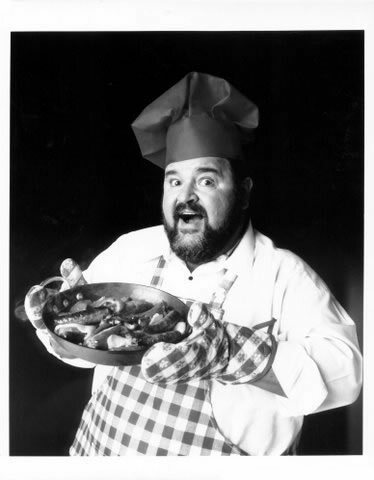 In memory of our friend and partner Dom DeLuise 1934 - 2009.